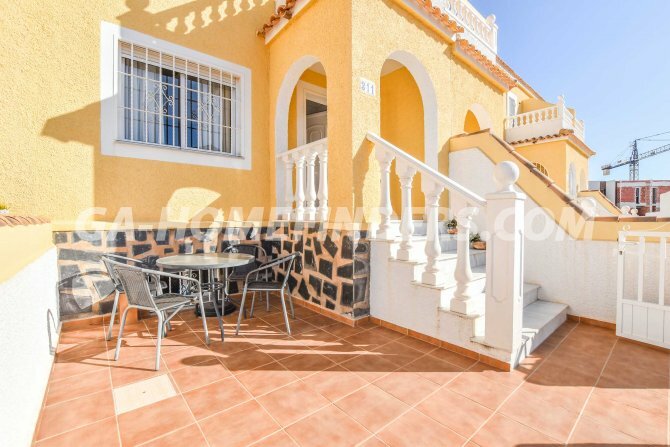 Furnished townhouse, has 2 bedrooms with fitted wardrobes, two bathrooms, and the option for a third bedroom in the basement. 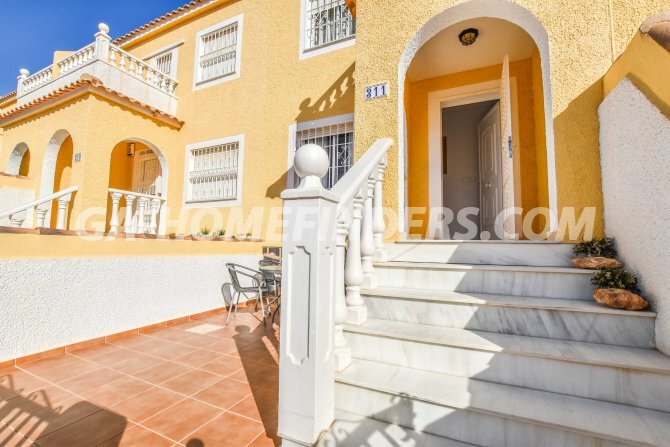 It has a large terrace at the entrance of the house, all the windows have grills and shutters. 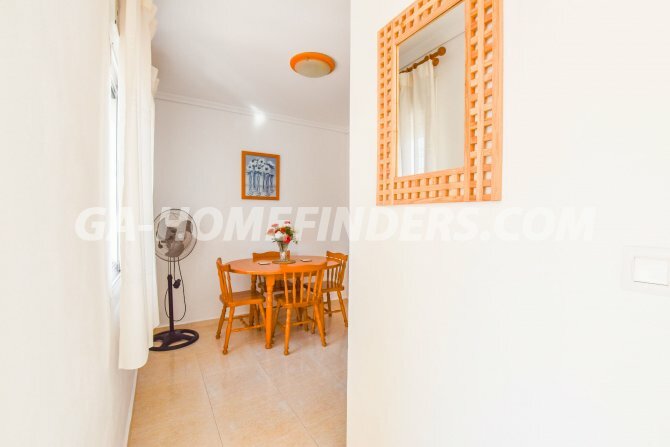 It has a large living room, American style kitchen with a gallery. 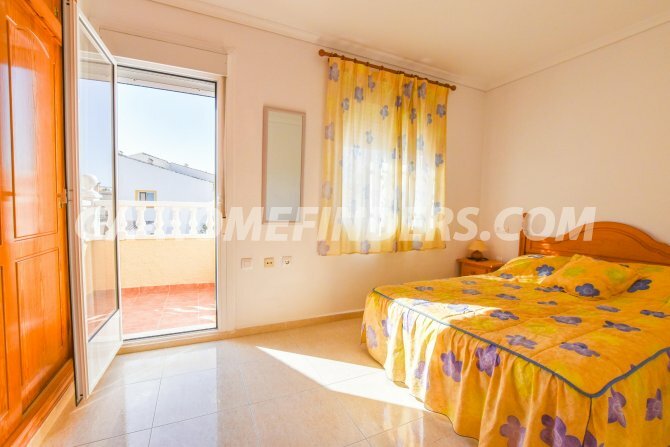 The master bedroom has access to a small balcony. 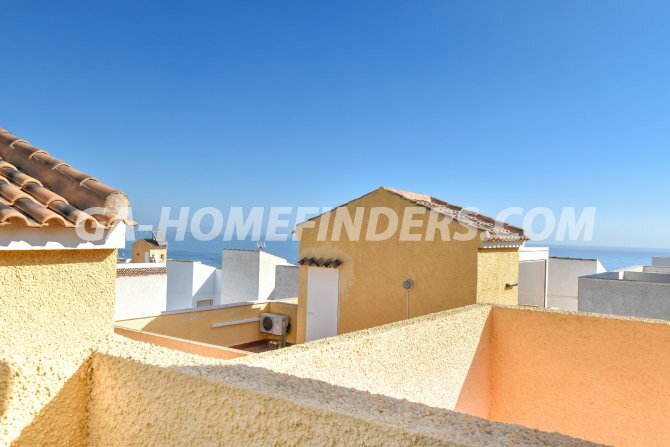 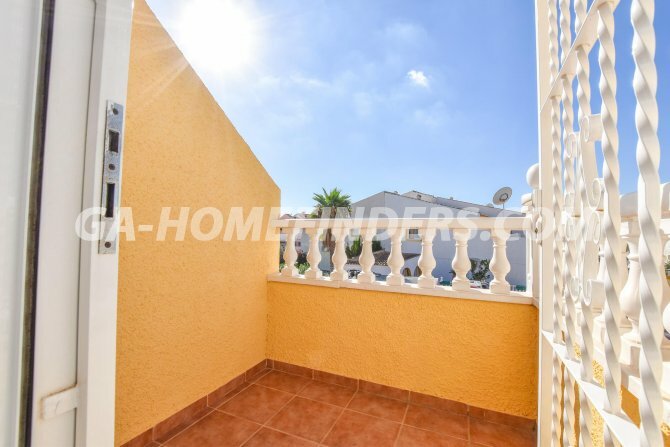 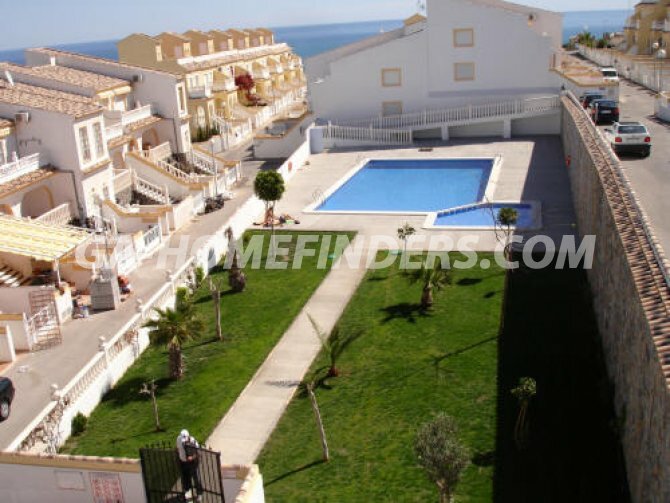 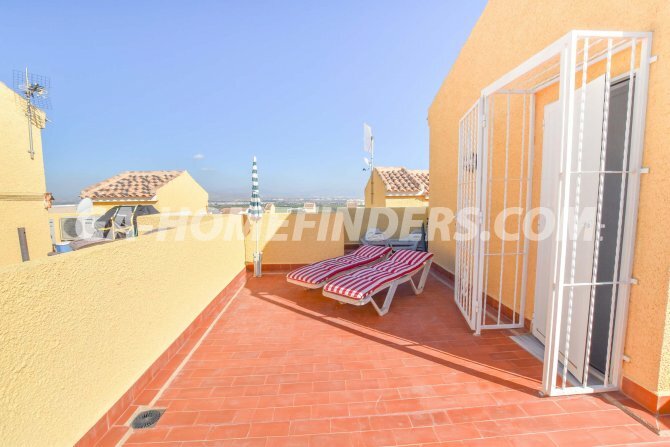 It has a basement and a large solarium, where there are wonderful sea views. 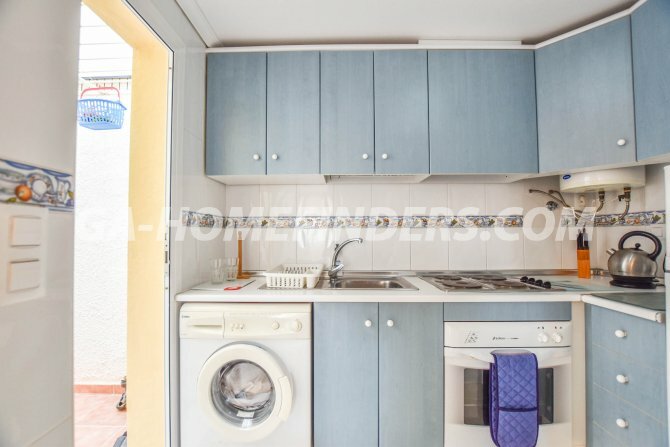 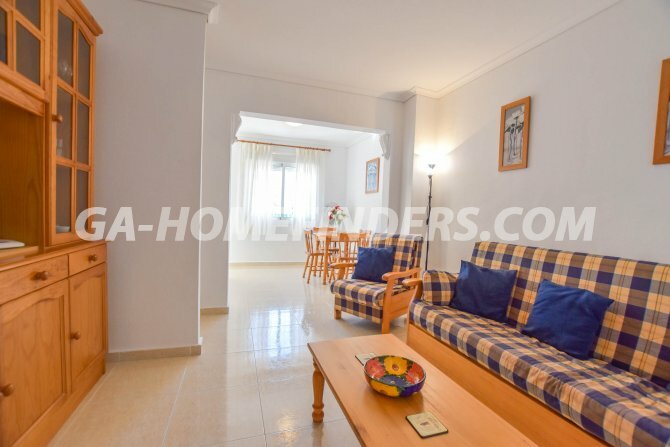 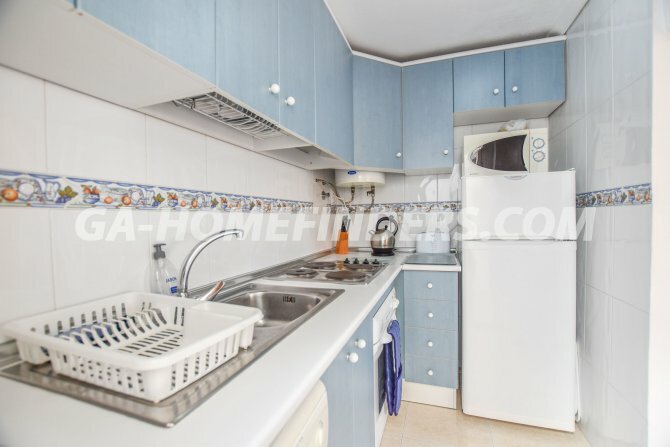 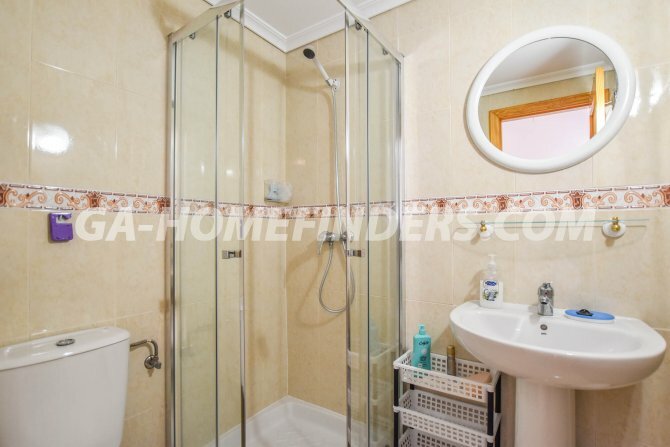 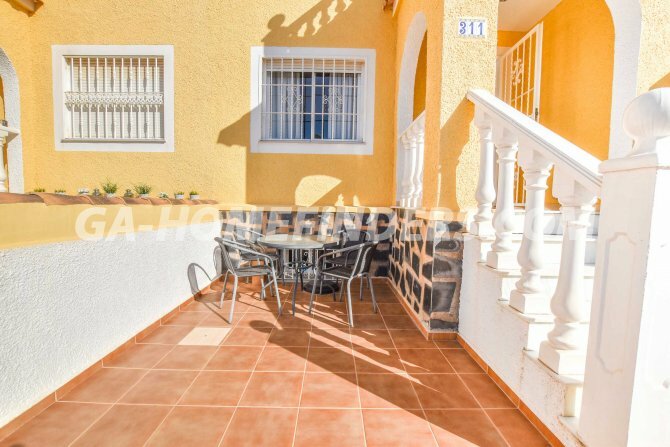 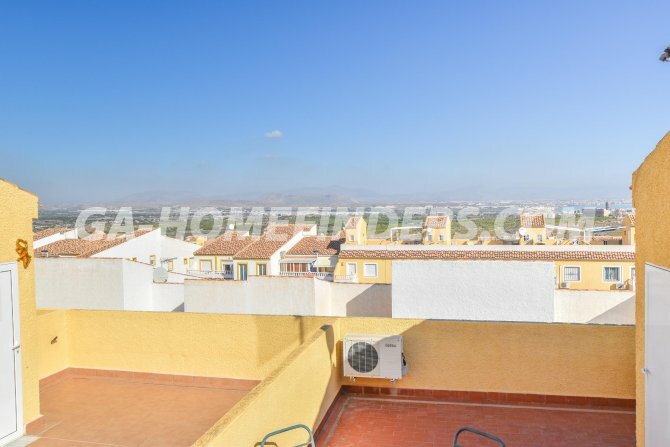 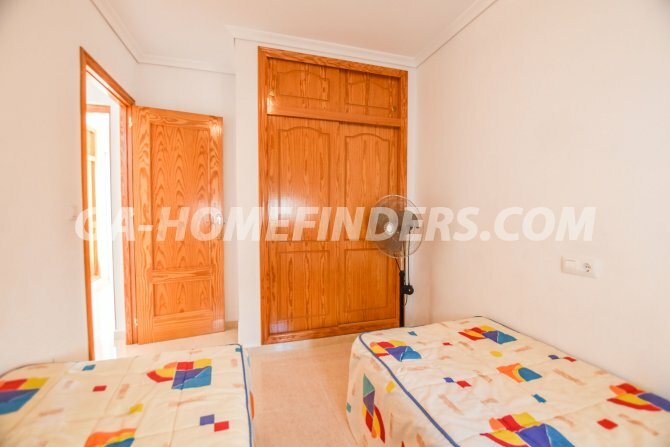 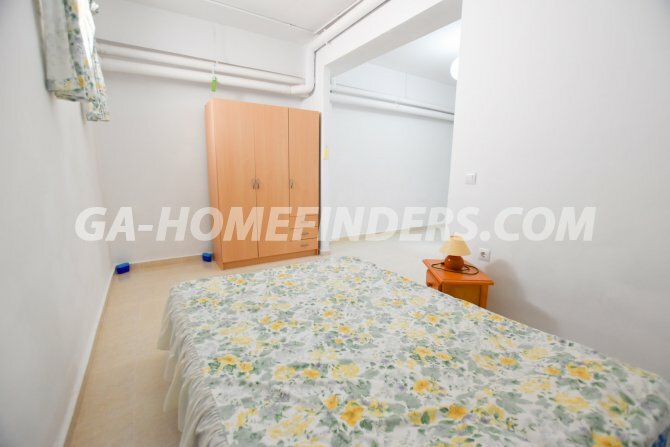 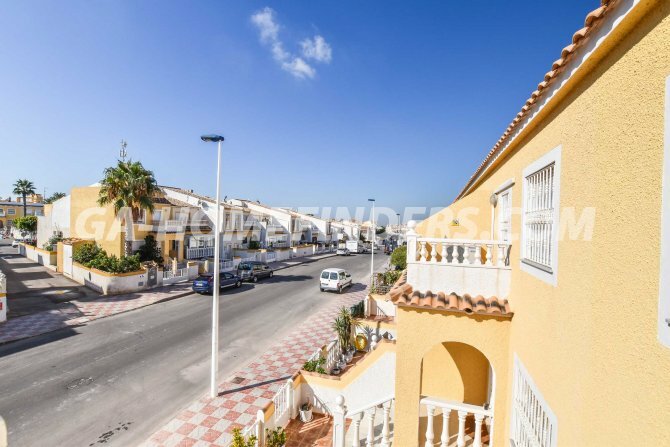 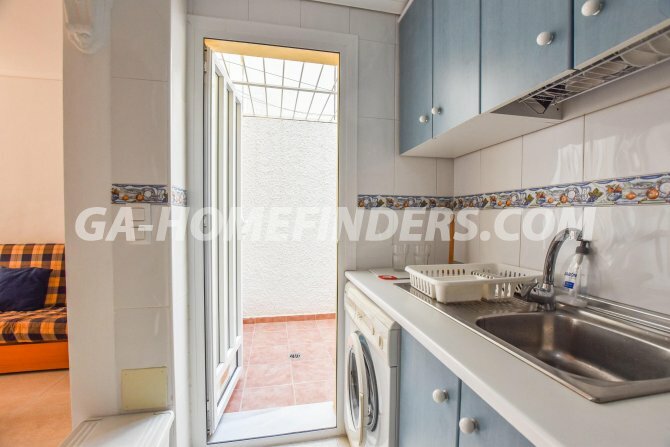 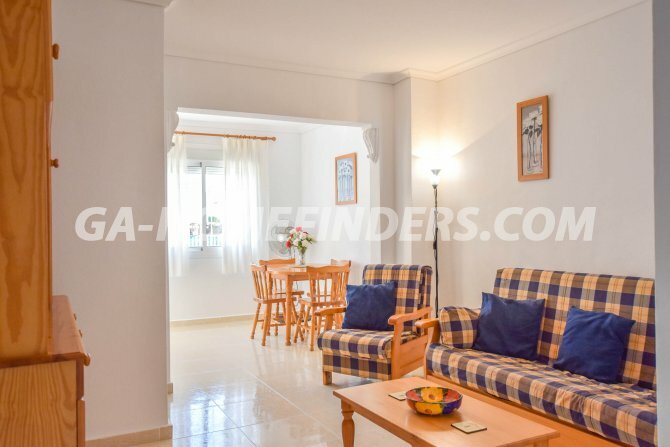 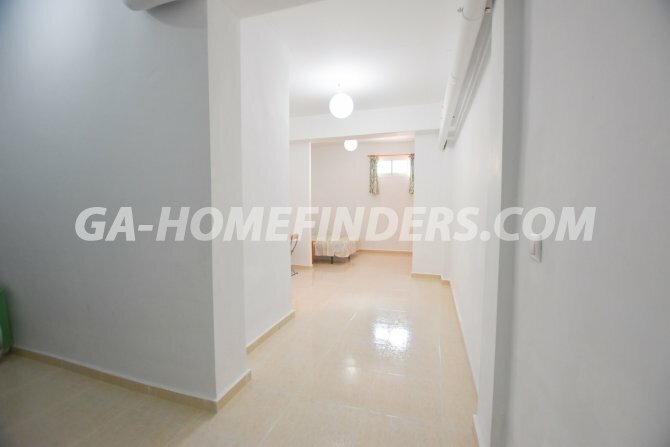 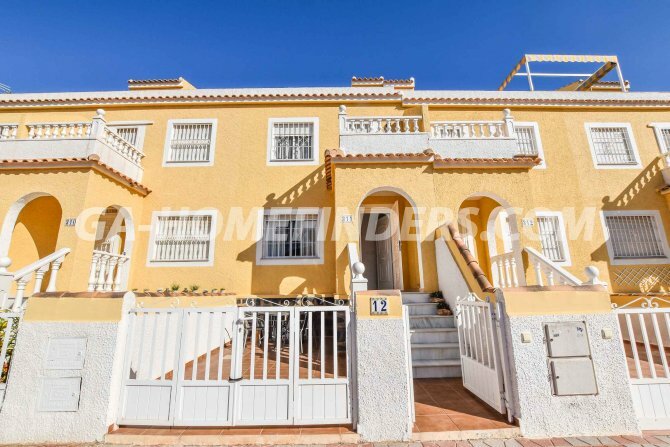 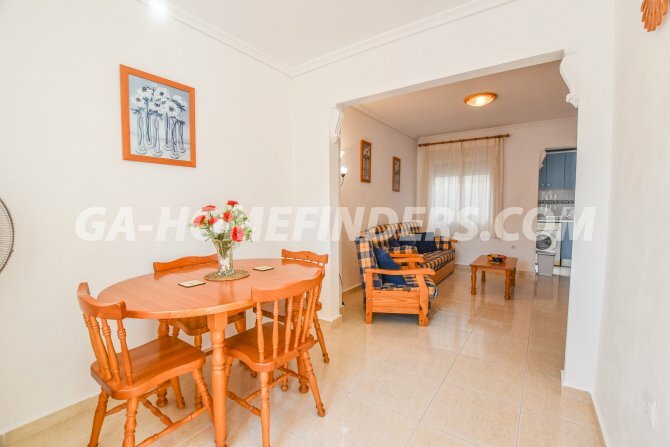 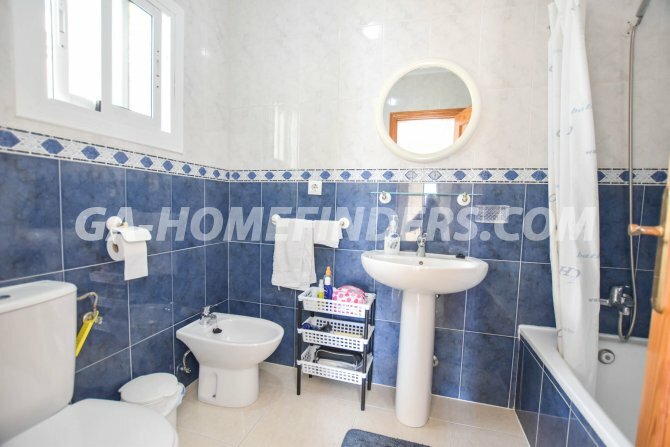 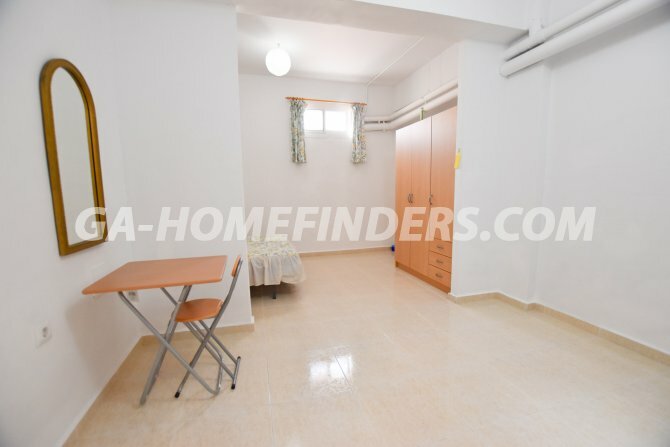 The house is located in the upper part of Gran Alacant, it is within walking distance to the banks, bars, restaurants, public transport (bus and the road train). 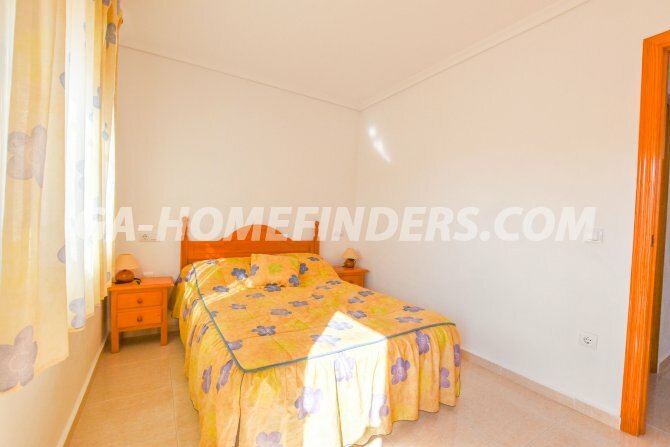 It is less than 5 minutes by car from the Carabasi beach and the Clot de Galvany nature park.